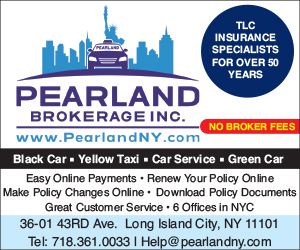 Legislative Disruption of the NYC Taxi & FHV Industries: MTA Congestion Taxes vs. Proposed FHV Caps and Fees! There are two big transportation stories from New York City this year. First, the taxi industry has undergone a period of distress for lenders, medallion owners and drivers who are challenged by reduced ridership, and the unchecked growth of app-based companies – primarily Uber. The black car, limousine and livery industries have likewise suffered from Uber’s unchecked growth, funded by its deep pockets. The second big story is that New York City public transit – especially the subway system – has experienced ongoing problems with delays, service disruptions and poor performance, due to problems with its aging infrastructure. 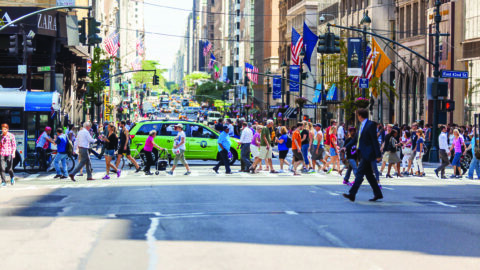 Recently, New York State addressed the need for additional funding for public transit repairs and improvements through a congestion surcharge on taxis and for-hire vehicles. New York State “fixed” the transit funding gap by mandating a congestion surcharge on For-hire Vehicles (FHVs) and taxicabs – a fare increase, really. Given that this surcharge is implemented at a time of distress for taxicabs and many FHVs, the results could be particularly problematic. In the late evening on Friday, March 30, 2018, the New York State Legislature passed the 2018-19 New York State budget. One of the last items passed by the legislature created a “congestion surcharge” on taxicabs and FHVs to fund the Subway Action Plan for the Metropolitan Transportation Authority (MTA). Absent from the bill was any true congestion pricing plan, leaving the New York City Council to search for other ways to relieve the City’s gridlock, especially in Midtown Manhattan. From the inception of the MTA taxi surcharge in November of 2009 through the end of 2017, revenue of at least $627 million has been generated for the MTA. Trips that begin or end outside New York State are exempt from paying the surcharge. For example, the fee would not apply to a taxi or FHV trip from a hotel in Midtown Manhattan to Newark International Airport and vice versa. But, if the trip starts and ends in any part of New York State, and even touches the congestion zone, then the passenger will be charged the extra fee. Also exempt are MTA-administered transportation services, including paratransit services and Access-A-Ride. The congestion surcharge revenues will all go into one of three “lockbox” accounts that can only be used to improve MTA’s operations and capital costs in NYC. One account will be dedicated to funding the operating and capital costs of the NYC subways. Another will fund the operating and capital costs of transportation in the outer boroughs, including improving the connections to Manhattan and a toll reduction program for any MTA crossings. The third account will be used for general operating and capital costs of the MTA. Estimates project the plan to bring in $435 million annually for the MTA, but that apparently is not enough to alleviate the MTA’s operating budget gaps, according to a recent S&P Global Ratings report. For FHV base owners and medallion owners subject to the congestion zone surcharges, there will be new registration and filing requirements with the New York State Department of Taxation and Finance. FHV base owners and taxi medallion owners will need to file a return and submit payment for the total amount of surcharges due on a monthly basis. Returns will need to show, at a minimum, the number of trips – or the number of pool vehicle passengers – subject to the surcharge each month. All regulatory agencies are required to cooperate with the administration of the surcharge program, including providing all records maintained relating to taxi medallion or FHV owners and operators, including trip records. For example, the NYC Taxi and Limousine Commission (TLC) will be required to provide trip records and similar information to allow for the audit of the surcharge payments for accuracy and compliance. The taxi fare rates in NYC have been increased 14 times since 1964. Taxicab fare increases can produce immediate “dips” in ridership, and the recovery period can vary. Most recently, the yellow taxicab sector lost some ridership due, in part, to a 17.24% fare increase in September 2012. In the four months after this increase, ridership fell by 1.76%. Due to various factors, primarily the proliferation of Uber, this decline in ridership has continued and ridership has not rebounded since 2012. In 2004, there was a 26% rate hike, which prompted predictions of a short-term dip in ridership. In terms of the FHV industry, almost every base, including Uber, will be affected by the congestion surcharge. Historical ridership data is not publicly available, making it difficult to analyze. However, similar principles may apply, and ridership is likely to decline – along with FHV driver and base income. Black car and luxury limousine bases will be able to pass through the costs legally to corporate clients. As a result, there is already talk among corporate travel managers that they may be asking FHV bases to lower their overall rates in light of the surcharge. Needless to say, livery bases operating mostly in the central business district (CBD), as well as UberX, many see reduced ridership as soon as the surcharge goes into effect at the start of 2019. However, it truly is a big question mark as to whether taxi and for-hire passengers may turn to the subways and buses, especially since mass transit service delivery has been on the decline. Even with new major funding, these changes are unlikely to attract more riders in the short term. The predatory issue looming for 2019 is that, because Uber is so well-financed, the company could guard against short-term ridership loss by reducing fares and increasing driver commissions, while their FHV competitors, who are just getting by now and lack the same financial resources, may be unable to weather the storm. At the same time, hungry drivers are likely to increase their hours on the road to make up for lost income. The so-called congestion surcharge has the very real possibility of creating even more congestion in the short term as more FHV drivers stay on the streets of the CBD, circling around waiting for fares, side-by-side with empty taxicabs doing the same. The growth in FHVs is particularly remarkable in light of the steady declines in the number of vehicles entering the CBD. 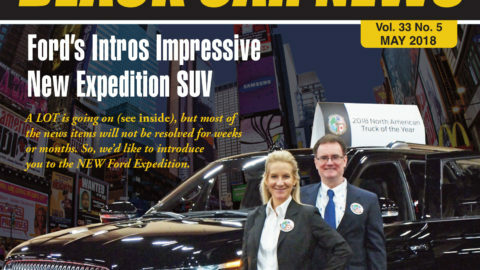 “A New Hope” for Taxicabs and FHVs at the NYC Council? But, is there some hope for NYC taxicabs and FHVs? Two legislative proposals from the New York City Council may assist some medallion and FHV stakeholders. In January 2018, Councilmember Stephen Levin introduced a bill (Intro. 0144-2018) to limit the number of new FHV licenses that could be issued through April 30, 2019. Under the proposed legislation, new FHV licenses would only be issued in limited numbers to vehicles affiliated with existing bases to allow for modest growth, based on the number of vehicles affiliated with a base as of June 15, 2018. The larger the base, the fewer new vehicles it could take on. With a focus on the larger FHV bases, this bill would attempt to level the playing field between Uber and its FHV competitors. This bill is still under consideration with the Council’s Committee on For-Hire Vehicles. Another bill, introduced on April 16, 2018, by Councilmember Ruben Diaz, Sr., chair of the Committee on For-Hire Vehicles, would completely overhaul the licensing and operations of app-based transportation. Under the Diaz bill, Uber and Lyft and other app-based vehicles and services would be put into a new, separate category that would be heavily-regulated – but not capped – by the TLC. In addition to higher licensing fees, the app companies would need to essentially justify their existence in New York to TLC, and obtain TLC’s approval for everything from fare rates to driver commissions. Diaz’s proposed legislation mostly takes aim at making the app-based service companies jump through regulatory hoops. Under the law, these companies would need a $20,000 per year license from the TLC to operate in NYC. Paying the fee would be the easy part. As part of the application process, the app company would need to submit a detailed business plan showing: that a business need exists for the service; provide an analysis of the geographic area it intends to serve and a detailed description of all transportation services available to the public in the entire proposed service area; provide a projection of the number of vehicles needed to deliver service and the average number of fares per vehicle; estimate drivers’ average hourly earnings; and show compliance with the City’s environmental quality review process. If approved, the app companies’ operations would be subject to a litany of regulations that seem aimed at providing transparency and protecting drivers and passengers. For example, the companies would be prohibited from providing drivers with a passenger’s destination prior to accepting a trip. Fare rates would need to be based on mileage, time or some combination of both, and approved by the TLC. 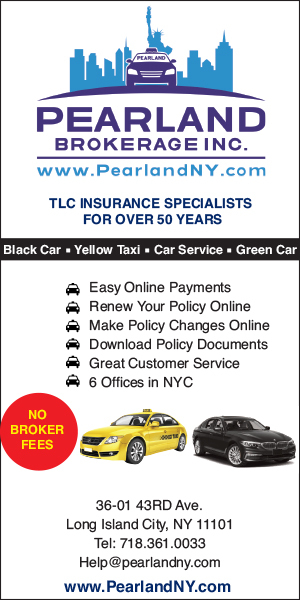 TLC approval would also be required to charge a commission, lease fee, or any other charge to drivers. Any charge to drivers would need to be in the best interests of both the public and the app-based FHV owner or driver, and must not prevent the driver or owner from earning a reasonable income operating the vehicle. Although the Diaz bill includes certain driver protections, app-based FHV drivers and vehicles do not escape the bill’s crosshairs. The annual license fee for app-based FHVs would be $2,000 – a steep increase from the $550 fee they currently pay every two years for a black car license. Moreover, vehicles could affiliate with one app service only. Drivers would be prohibited from receiving dispatches from any other business or entity, except the app-based for-hire service to which the vehicle is affiliated. The bill also calls for clearly marking vehicles with the name of the affiliated app service, and a TLC-assigned unique alpha-numeric ID, roughly the size of the markings on taxicabs. Even though the Diaz bill includes some language about app-based for-hire bases, the regulations are scant, and it is unclear how they would factor into the new regime. Each app base would need a license to operate and would be required to have at least 10 app-based FHVs affiliated with it at any time. In addition, there is no distinction for those app-based group ride services, which may actually promote congestion relief, and which are the primary competition for Uber with far fewer affiliated vehicles. If passed, the law would be among the more aggressive measures to address Uber’s unchecked growth in New York City and the havoc its 68,000-plus vehicles have wreaked on traffic congestion, and the taxi medallion and FHV industries. However, the bill does not distinguish Uber (the source of congestion) from the other players, in particular those that operate true pool rides, like Via and Gett Together. The Diaz bill is on the For-Hire Vehicles Committee’s agenda for its next public hearing on April 30, 2018.